We believe in Maui’s children and the importance of their future in leading our community. Through a rigorous college and career readiness experience, the St. Anthony tradition continues with a 100% success rate of graduates pursuing post-high school education. Mahalo to our generous community for supporting our students and guiding them into a bright, successful future as a community member. 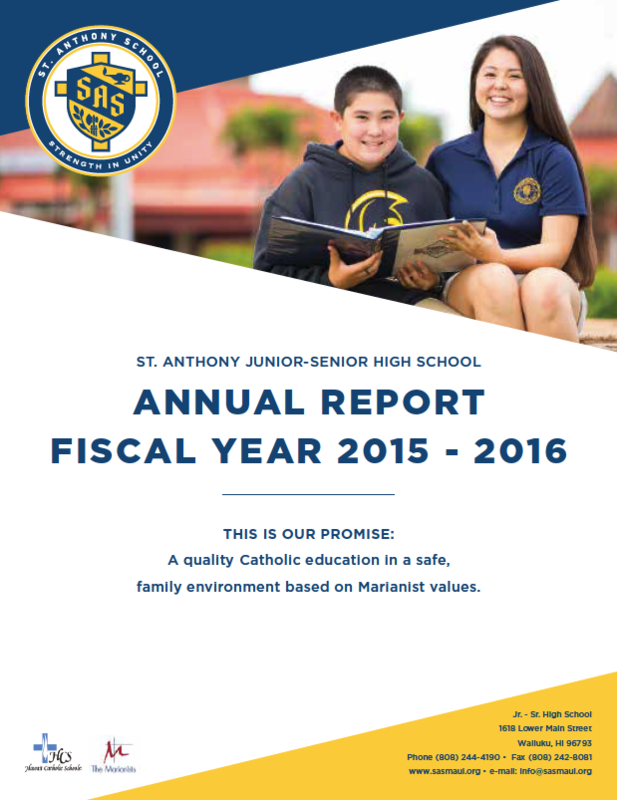 Please click here to see our most recent Annual Report.